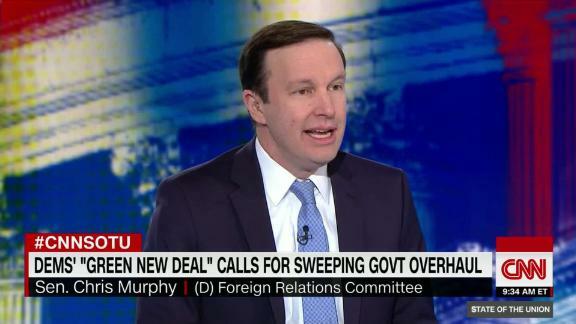 Jake Tapper interviews member of the Senate Foreign Relations Committee and Connecticut Senator Chris Murphy on the political crisis in Virginia, the impending government shutdown and the Green New Deal. Republicans are gearing up to make the Green New Deal a key campaign issue heading into the 2020 race. President Donald Trump took aim at the resolution at a rally in El Paso, Texas, on Monday, decrying it as "socialism" and painting elements of the proposal as pie-in-the-sky dreaming.